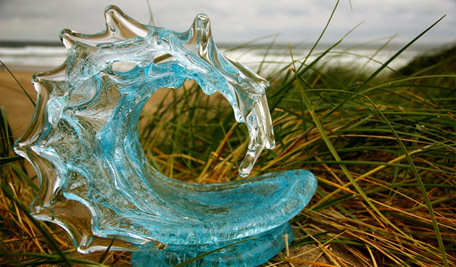 The Tsunami Glass Wave Sculpture was the jumping off point for David Wight’s transition into sculpting glass. 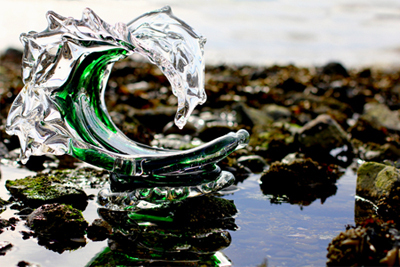 David enjoyed water and wanted to try and capture its movement in solid form. 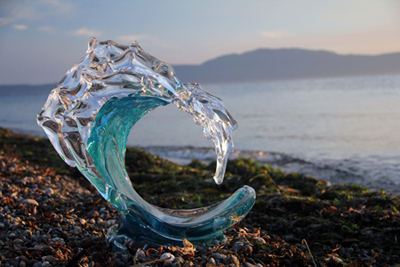 In 1994 he began creating what has now become known as the Tsunami Glass Wave Series. 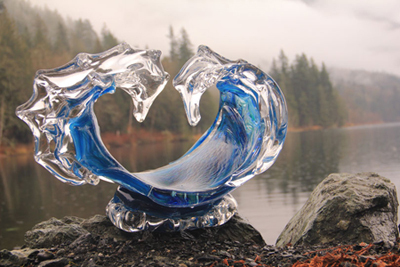 The Tsunami Glass Wave Series can now be found in Exclusive galleries around the United States, the Hawaii Islands and now in Florida at Wyland Gallery Sarasota and Ocean Blue Galleries in St Petersburg, & Winter Park (Orlando area). 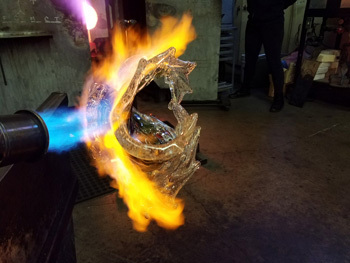 David began making the Neptune because he wanted to create a free form glass sculpture that really captured the molten nature of this hot material and felt a lot more liquid. They are the most free form, organic and fun to make. He feels that they really bring to life the essence of a water sculpture with their unique combination of portholes, splashes, and waves. 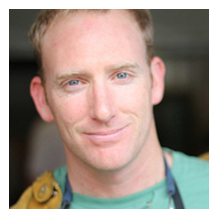 They allow him to really create something significant. 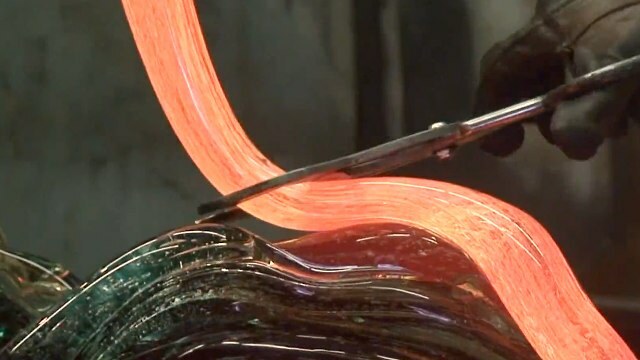 I feel as if I am truly sculpting glass to flow in a way that is a little unconventional to really grasp the liquid flow of water. 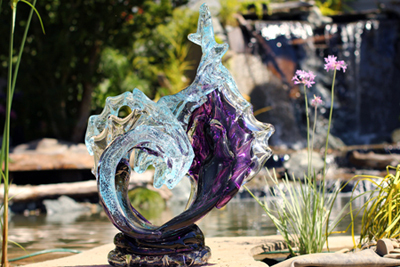 The Neptune Sculptures are the most abstract, complex sculptures that I’ve ever made. The little bubbles were something that I wanted to add after playing in the ocean and surfing. 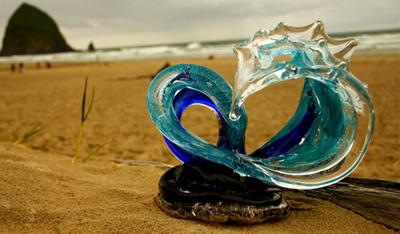 When the waves were breaking on the beach I kept looking at all of the little bubbles being created by the waves and felt compelled to incorporate this aspect of water into my glass art. 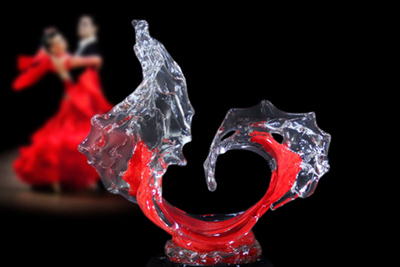 The Sunset Tango is representative of the relationship of movement and dance. 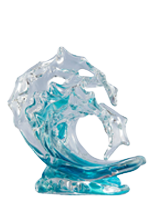 David Wight embodies and captures the essence of dance in the movement of the glass. In the Sunset Tango he captures that moment in a Tango Dance where the man dips the women and holds her in a passionate embrace. 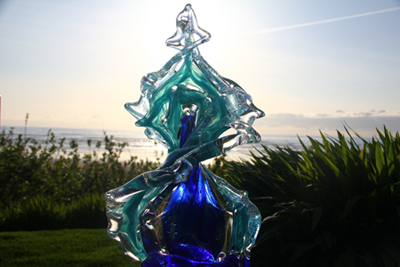 Tango music plays a big part in the creation of the Sunset Tango glass sculpture. 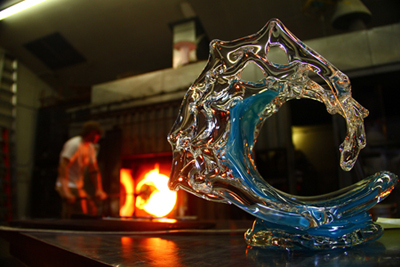 Many of the sculptures seem to materialize before I even realize what I’m making. 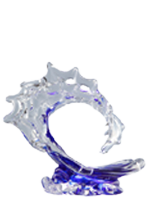 For example, I was taking Tango lessons at the same time that I was making the Sunset Tango sculpture. It wasn’t until I had finished and was looking at it while listening to Tango Music, that I recognized the subconscious influence on my creativity. 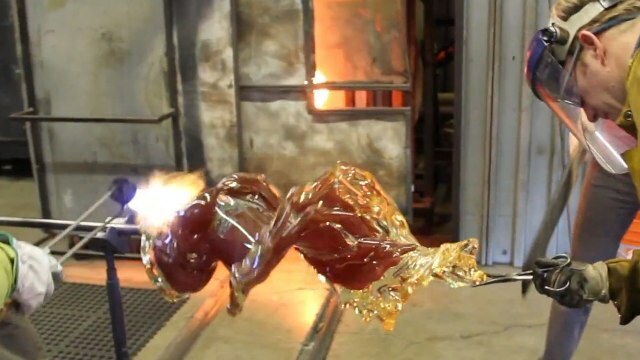 Imagine blowing a bubble. 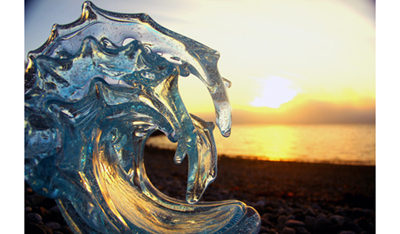 Filling it with your breath until it bursts and releases its energy back into the world. The Burst Collection by David Wight follows a similar path. 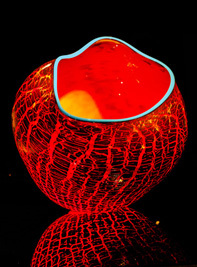 Each unique piece starts by gathering molten glass, then breathing into it, allowing it to grow. 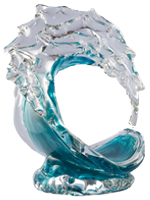 David’s inspiration for these pieces came after witnessing molten lava flowing from Kīlauea into the crashing ocean waves off of the Hawaiian coast. 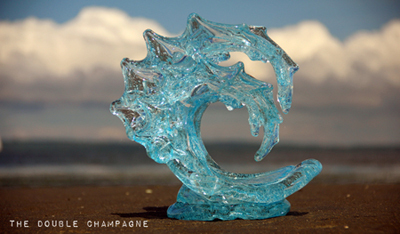 Shaped and molded by his interpretation of these two primal forces coming together, these “bubbles” are suspended in their moment of release. 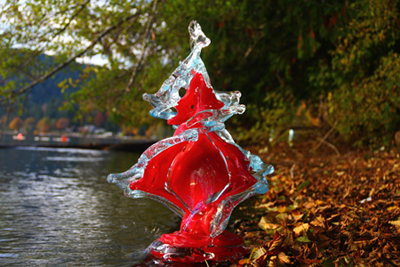 Bursting with color and energy, these sculptures capture the creative potential of fire meeting water. 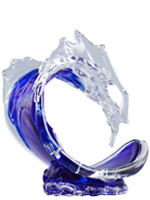 Please Contact the Gallery for an Updated Catalog of Currently Available Glass Sculptures.